MONTRÉAL, September 6, 2007 - Bell today announced that it is the first Canadian communications provider to achieve the Cisco Powered TelePresence Connection Certification for its IP VPN service. "Achieving this prestigious certification for our IP VPN service-available nationally and globally- makes clear that Bell is well prepared to support the convergence of real-time voice, video and data and underlines that Bell networks can support the most demanding business applications our enterprise customers may have now and into the future," said Stéphane Boisvert, president of the Bell Enterprise Group. 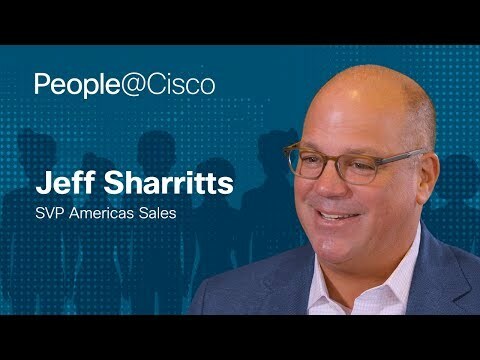 "Cisco TelePresence is a uniquely powerful collaboration tool for business clients that can be delivered only via a correspondingly powerful and reliable Internet Protocol network." Bell is the first service provider in Canada to achieve the Cisco Powered TelePresence network status enabling the delivery of the Cisco TelePresence solution. Bell takes advantage of Cisco Internet Protocol Next-Generation Network (IP NGN) architecture and innovative technology to deliver a highly scalable and secure solution. The Cisco TelePresence system creates unique, "in-person" experiences between people, places and events in their work and personal lives. Cisco TelePresence delivers life-size images, via ultra-high-definition video (1080p) and spatial audio within a specially-designed environment for the experience of being in the same room with remote participants, whether they are down the street or around the world. "Cisco TelePresence provides an unprecedented 'in-person' meeting experience that enables companies to improve business efficiency and gives them the potential to transform their businesses through faster and richer collaboration, instant access to expertise, and better cross-cultural communication," said Terry Walsh, president, Cisco Canada. "In order to maintain the extremely high-quality experience of Cisco TelePresence meetings, Cisco set up a tough accreditation process. We are pleased that Bell has achieved the level of video communications expertise required for an optimal TelePresence experience." "Telepresence delivers on the videoconferencing vision - a remote experience almost as good as an in-person meeting that eliminates travel expenses and lost productivity time" wrote Claire Schooley, senior analyst, and Henry Dewing, principal analyst, at Forrester in "Telepresence: The Cadillac of Videoconferencing", April 2007. "An increasingly distributed workplace, growing technical maturity, and real return on investment (ROI) proof cases are coalescing to herald in the next generation of videoconferencing systems, ones that really work and have true business benefits" added Henry Dewing in Forrester's March 2007 report "Videoconferencing Rises Again".